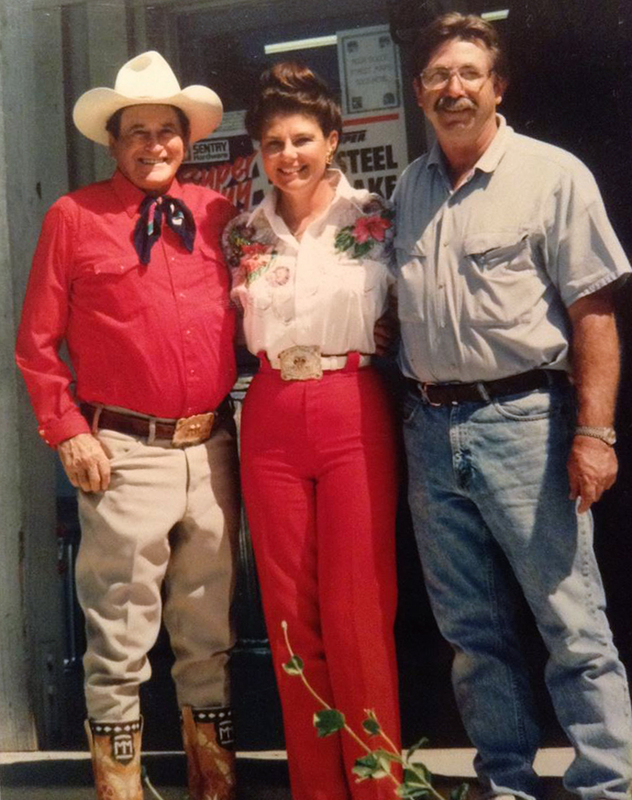 Montie and Marilee Montana with Art Brewer in front of the latter's Agua Dulce Hardware store, mid-1990s. Brewer operated the store since 1992 and died in 2003. SB9501: 19200 dpi jpeg from smaller jpeg.